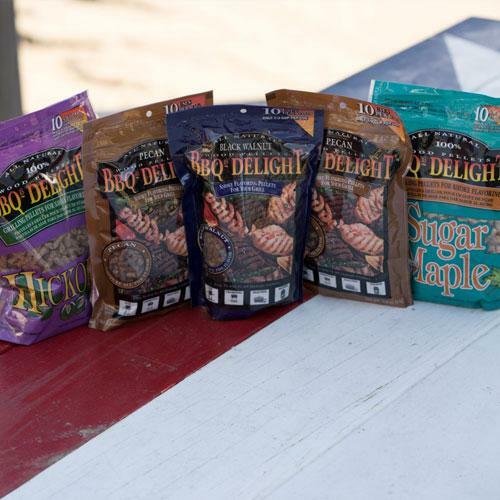 Smoke like the pros and add unforgettable flavor to your next BBQ with our All Natural Wood Pellets Set. 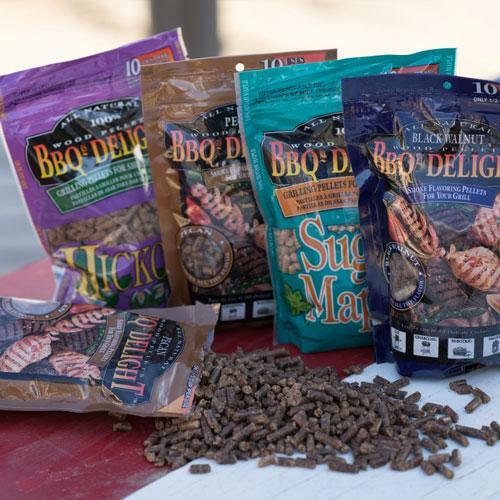 This set includes five bags of assorted wood pellet types, perfect for both grills and smokers! Experiment with different pellet combinations to create unique flavor profiles for everything you cook outside. A great starter kit for the aspiring meat smoker or anyone wanting to raise their grilling game. Note: This set includes five 1 lb bags of wood pellets. Flavor combination may vary depending on availability. • Each bag contains detailed instructions for use. • 10 uses per bag. • Ships in 1-2 business days.